Klezmer, Jewish, Hebrew, Yiddish Israeli music band from New York "Old Red Wine"
Klezmer, Jewish, Hebrew, Yiddish, Israeli music band from New York "Old Red Wine"
Shlomo Leiderman's "Old Red Wine" Klezmer music band "Old Red Wine" (Russian: «Старое красное вино») is where Klezmer meets Dixieland. 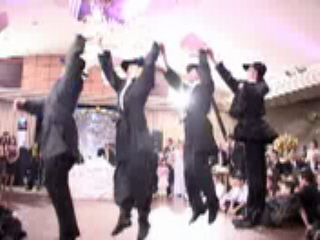 Shlomo Leiderman and his band are providing live Klezmer and Yiddish music for performing art centers, educational organizations, libraries, festivals, Jewish celebrations: Weddings, Bar/Bat Mitzvahs in New York, New Jersey, Connecticut and Pensylvania. Composer, arranger and keyboardist Shlomo Leiderman's new Brooklyn-based sextet "Old Red Wine" takes off where his Israeli group, "Adom Atiq", left off. Like most young musicians in the 1960s in the Soviet Union, Shlomo Leiderman went underground to learn about and play American Jazz. His first love was Louis Armstrong and Dixieland Jazz, and from there expanded to jazz vanguard of mid 20th century. In the 1970s, his family moved to Israel where Mr. Leiderman earned a degree in conducting from the Tel Aviv Music Academy. Later, as Music Director of the State Yiddish Theater of Israel in Tel Aviv, he composed and arranged for a number of productions that toured worldwide. During this time, Mr. Leiderman also founded and directed, "Adom Atiq", an ensemble noted for its fusion of jazz, Jewish folk and original music. The band played for 17 years, touring Europe and the Americas, including a L.A. music festival. 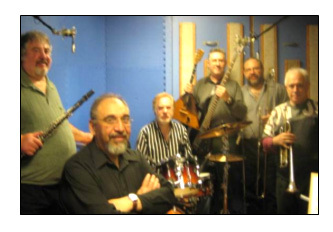 Old Read Wine members: Alex Polonsky, trumpet; Haim Fishas, clarinet; Alex Kaykov, trombone; Lev Zabeginsky, bass and balalaika, and Mika Marcovitch, drums and Shlomo Leiderman, keyboards. "Old Red Wine" performs original work and such Klezmer and Yiddish music classics as Heimisher Bulgar, Rozenkis mit Mandlen and Arum Dem Fire with jazz twist. Email mikhail@barynya.com / Phone: (201) 981-2497. Yakov Yavno - acclaimed Jewish singer and actor from New York City. "Old Red Wine" - Klezmer and Yiddish Dixieland Music Band from Brooklyn, New York. Director Shlomo Leiderman. BOTTLE DANCERS USA - Jewish dance show from New York City. Tum Balalaika - Russian, Jewish, Ukranian, Gypsy band from Chicago, Illinois.